CEOCFO: Would you tell us about your position as VP of Operational Excellence at Ingersoll Rand? 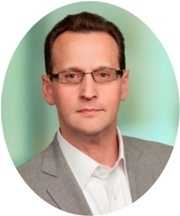 Robert Thikoll: As Vice President of Global Operational Excellence I am responsible for growing and developing Ingersoll Rand�s commitment to Operational Excellence through lean transformation. I provide thought leadership, influence and hands-on engagement to lead the comprehensive implementation of lean initiatives throughout the company. I partner closely with presidents and senior leaders of the company�s strategic business units to help identify, lead and execute lean objectives to drive growth and margin expansion, along with growing the company�s winning culture. CEOCFO: What is your focus day-to-day? Robert Thikoll: It is really all about people. Foremost we seek to create a continuous improvement culture where leaders are coaches of lean thinking and everyone is an expert problem solver. That way we can collectively solve the biggest problems in the business with dramatic and sustainable results. CEOCFO: What do you understand about using lean transformation to improve efficiency that perhaps less experienced people do not understand? Robert Thikoll: A huge percentage of corporations that embark on a lean journey end up either diluting the effort to the point where they really aren�t using lean anymore, or abandon the journey altogether. Lean is all about process and creation of standard work, but it�s a slippery slope if you don�t also keep your eye on the real results. It is easy to slide towards lean activity only for the sake of lean activity versus striving for real results - big leaders in big corporations all too often make this mistake. Likewise if you focus only on results you may end up without sustainability. So, sounds basic, but you have to have balance between the two, with a slightly heavier bent towards the results. CEOCFO: How has your career evolved through Aisin Takoaka and Danaher�s Beckman Coulter Life Sciences? Robert Thikoll: The simplest way for me to answer this question would be to say that it�s all about how to help people make the �leap of faith� to lean. Working for Toyota afforded me the opportunity to learn from the masters. I was afforded the opportunity to build product with my own hands as an operator at a Toyota Tier One factory while utilizing lean thinking before I knew any different. There was no leap of faith needed, I just did what was normal to Toyota and continuously improved upon all processes without thinking about how special this was. Many years later in Danaher Corporation and beyond, I learned that it isn�t easy to transform a business to lean thinking. People need proof at the onset that this is a good thing for them and for their business, and often won�t take the leap of faith. The most valuable evolution of my career was transitioning from someone who just did lean and made everyone come along for the ride, to someone who could thoughtfully teach the value of lean and gain interest and therefore create �pull� for my mentorship and assistance from those who would later become true believers. CEOCFO: What did you learn about what to do and what not to do as a business leader? Robert Thikoll: I�m still learning this. Every situation is different, every organization is different, and the dynamics change from business unit to business unit, geography to geography, and from corporation a corporation. Some of the most basic leadership tenants though always stand: Leading by example, leading with respect, showing courage to push the boundaries of common thought, and creating an environment where it is okay for everyone to fail without being crushed. CEOCFO: What does operational excellence encompass at Ingersoll Rand? How do you integrate conflicting goals? Robert Thikoll: Operational excellence covers the gamut from the front end (strategy, sales, marketing) of the business to the G&A part of the business, to the manufacturing and purely operational portions of the business. It is what ties all parts of the business together. The power of it is that no matter who you are or where you sit in the company, you should be utilizing the fundamentals of lean while uncompromisingly leading through the broader business operating system. It�s remarkable to see a leadership team rally around this concept. The secret is the setting of simple yet powerful policy deployment goals, and setting a structure for standard work and cadence that allows everyone to cascade those goals naturally from highest levels to the corners of every operation be it in the field, the back office or the factory. CEOCFO: What did you learn living and working in Japan? Robert Thikoll: Firstly, I learned the value of hard work, teamwork, and comradery. Winning as a team, losing as a team, and supporting each other as a team. Secondly I learned that you don�t need a lot of money to make big changes in the customer experience. �Reaching for the mind before reaching for the wallet�. There was never any money to do anything but we used our minds to create a better customer experience. Finally, we took care of the employee first using respect and desire to develop and advance their careers. In turn, the employees took great care of the customer and the customer coming back again and again took care of the shareholder. CEOCFO: Have your degrees in political science and Japanese prepared you for the career path you followed? Robert Thikoll: That�s a funny question for me. In reality my early education really prepared me only for how to learn, how to communicate, and how to gain consensus for ideas. It was much less about the content of the course load. That said, naturally learning Japanese help me connect on a deep level with the Japanese in Toyota and the Toyota tear one supply chain. CEOCFO: What challenges are on your radar? Robert Thikoll: I�d like to begin documenting and sharing gigantic wins in the transformation of larger and larger organizations to lean thinking. I truly think the world can be a better place if lean thinking permeates into the goal sets of large corporations in all sectors as well as in global governments. Co-learning partnerships, consortiums, and expositions are good ways to get the word out, and working closely up and down the supply chain of your business can create a force multiplier that drives more and more cost out while creating more and more value. CEOCFO: How do you stay ahead of industry trends, changing technology and a volatile political world? Robert Thikoll: I think we need to be cognizant of the value that technology brings to a lean environment. We also have to be careful not to think that it can be the panacea. It really is always going to be about process. I am truly excited and blown away by the pace at which disruption is occurring. Change happens so quickly that the best we can do is have a malleable mind and relentlessly force ourselves to dream up the wildest notions of where disruption may occur next. There is no thought too wild. To stay in tune, I like to attend consortiums, co-learning partnerships, expositions, and other such sharing events across geographies in across industries. This is where I gain a tremendous amount of my passion and drive for what I do in my current job. I also have of mindset that there is no morsel of information that is insignificant or unimportant. Every opinion, every experience that someone can share with me is of high value and works its way into the fact that I am still learning.